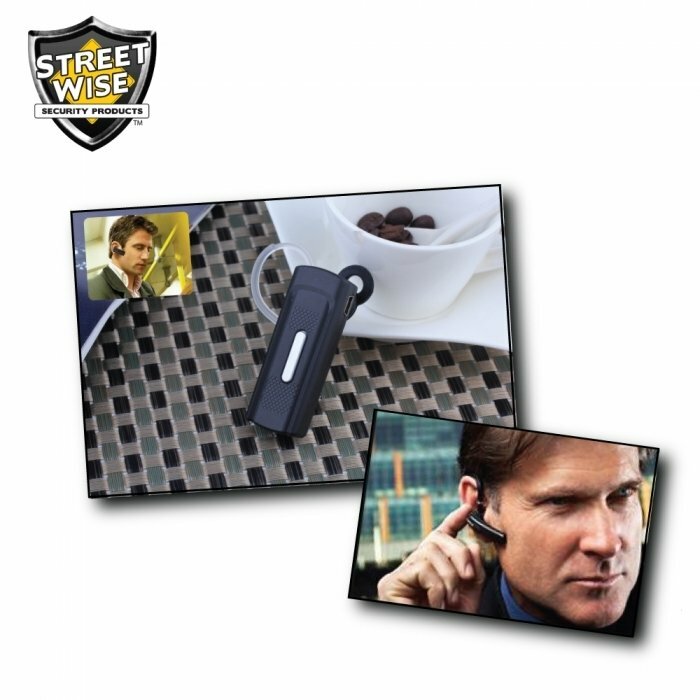 Wear this lightweight camera disguised as a bluetooth headset and easily capture video, audio, or still photos. Camera supports storage up to 32GB with the included micro-SD card. 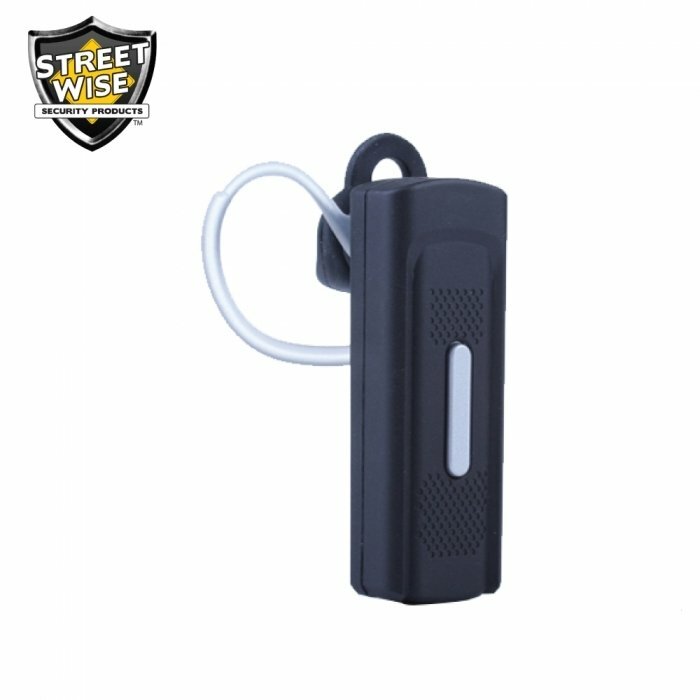 Powered by a rechargeable 350mAh internal battery. 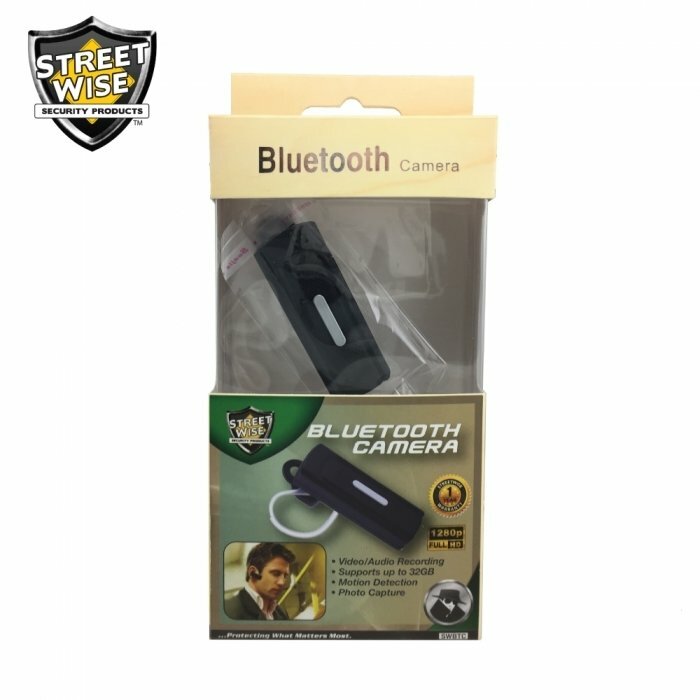 The Streetwise Bluetooth Camera is a great addition to your body-worn camera arsenal.